Discovery is a breakthrough in the design of SUVs. A radical and very precise approach to incorporate the most versatile Land Rover vision of the SUV. The Discovery is the most versatile SUV ever created by Land Rover, thanks to the easy configuration of its seven seats through the intelligent folding function, which can be controlled with the trunk switches or with the touch screen. Además , its diverse optional storage options allow an intelligent use of the space and provide a luxury comfort in its interior, which together with a leading capacity of its class and its innovative technologies make it the ultimate SUV, capable of conquering any terrain. With its design change, the Discovery is now much more attractive and has, without sacrificing the 4x4 capacity, a more premium aspect. There was a time when any off-roader was called Land Rover. Even today many people use the name of the British brand to qualify for a 4x4 car. And it is not by chance. Its legendary models have been and still are an authentic reference in the segment, basically due to the ability of its engineers to adapt the basic concept of a versatile vehicle capable of meeting the specific needs of increasingly demanding users. And it is in this process that we arrive at products as convincing as the latest version of Discovery, a clarifying example of that symbiosis between functionality, technology, versatility and of course design. El Discovey elevates the SUV concept to its maximum expression. A harmonious set in its forms that meets high note both on and off the road, honoring its illustrious Land Rover cradle. Its dynamism surprises in a car of its dimensions, as well as its capacity, when leaving the asphalt, to overcome obstacles that are vetoed for many other models of its style. Su market positioning must also meet the criteria applicable to high-end SUVs, so that their finishes and equipment are up to the circumstances. It is the quality that completes a round : to be able to enjoy the advantages of a genuine 4x4 with the comfort, safety and connectivity of the best of saloon representation. The Discovery is the representation of the legendary capacity of Land Rover. 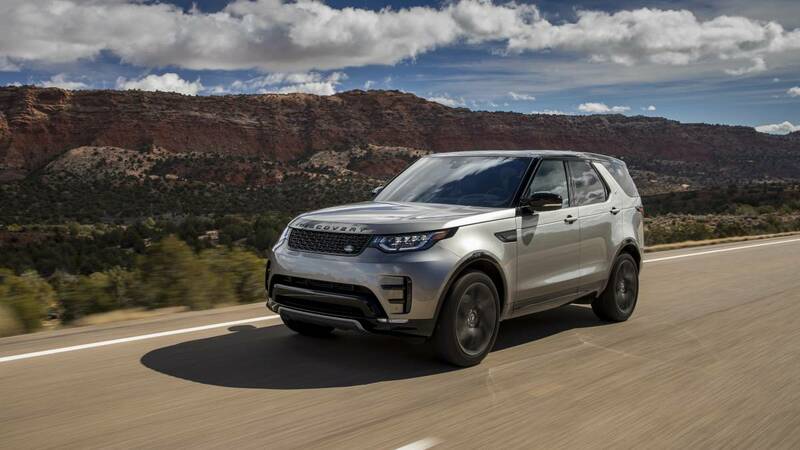 Thanks to its All-Terrain Progress Control system, the Discovery is able to automatically manage the engine and brakes, achieving a comfortable and stable off-road speed. The system works like a cruise control between 2 km / h and 30 km / h, which helps you to concentrate fully on the steering wheel and avoid obstacles on the road. In addition, its towing capacity of up to 3,500 kg, very superior to other similar vehicles, and its wading sensor make the Discovery the best SUV in its category. With a wading depth of up to 900 mm, in the sensors located in the exterior mirrors, it is shown information in real time about the depth of water with respect to the vehicle. Your innovative technology brings the connectivity, information and entertainment on board the Discovery to a new level. The Touch Pro infotainment system puts everything you need at your fingertips through its 10 high definition touch screen and makes connectivity and information fast, direct and impeccable. On the other hand, Connect Pro includes, in addition to a Wi-Fi hotspot, connected navigation functions, such as traffic information and parking availability in real-time parking, offering the highest level of connectivity and comfort. Not to mention its ingenious systems driving assistance, rear parking and towing, which make driving the Discovery a comfortable and exciting experience. In short, the Discovery is a model to consider if you are thinking of changing car and enjoy what a quality SUV can offer you. Currently has 4 models (Discovery S, Discovery SE, Discovery HSE and DISCOVERY HSE LUXURY) that adapt to your needs, are fully configurable and with a price from € 63,800 .